On this year’s Earth Pilgrim course, Satish was joined for a day by Peter Owen Jones to share thoughts on pilgrimage in the 21st century. 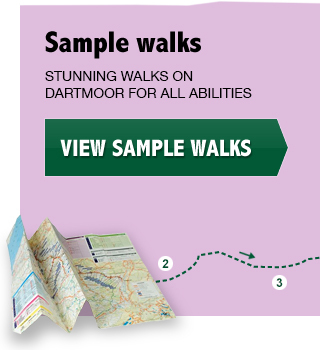 The plan was for everyone to go out to Dartmoor in the afternoon, and I put together a walk that would introduce the group to the diversity, history and natural beauty of our local “wilderness”. 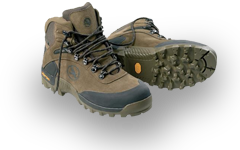 The following day they were going to do the Deep Time Walk along the coast, where they pace out cosmological time from the Big Bang to the present, with humanity playing a part only in the last few steps. 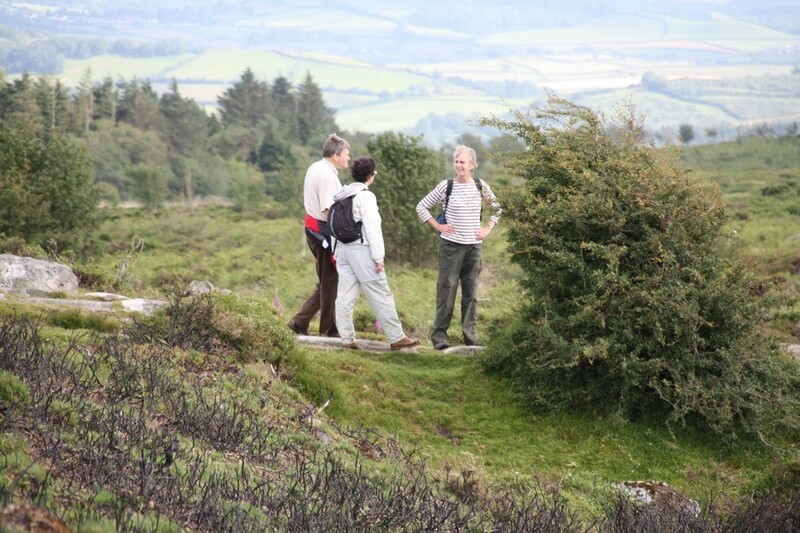 Our Dartmoor walk progressed through human history from a Bronze Age burial site to a medieval village and on to Victorian era quarries and granite remains. Peter has travelled around the world studying the spirituality embodied in many different cultures. As we gathered amongst the crumbling walls of Hundatora medieval village, he spoke of his time with the Sangoma in southern Africa, and how they value and honour their ancestors. Our own society by contrast idolises the modern and high-tech, and considers those leading simpler lives to be “primitive”. He invited us to reflect on how the Hundatora villagers had lived in that place for hundreds of years in close connection with the elements around them and in conditions few of us could survive in today, and to feel that continuity between them and our present reality. We sat together gazing out over the wooded valley and the hills beyond, sensing the timelessness and tranquility of our surroundings. We moved on around the side of the hill through bracken and heather, then descended into an idyllic valley where the Becka runs through meadows dotted with foxgloves and hawthorn trees. We settled on its banks and Peter talked about how the Sami people in the far north of Europe, our only remaining indigenous people, hear nature talking to them through the wind, water, trees and animals. They had sat him by a stream and told him to listen to and learn from it. We sat in silence with eyes closed and heard the brook’s carefree song – was it chuckling or whispering or singing? Whatever it was, I don’t remember ever hearing a more joyful sound. 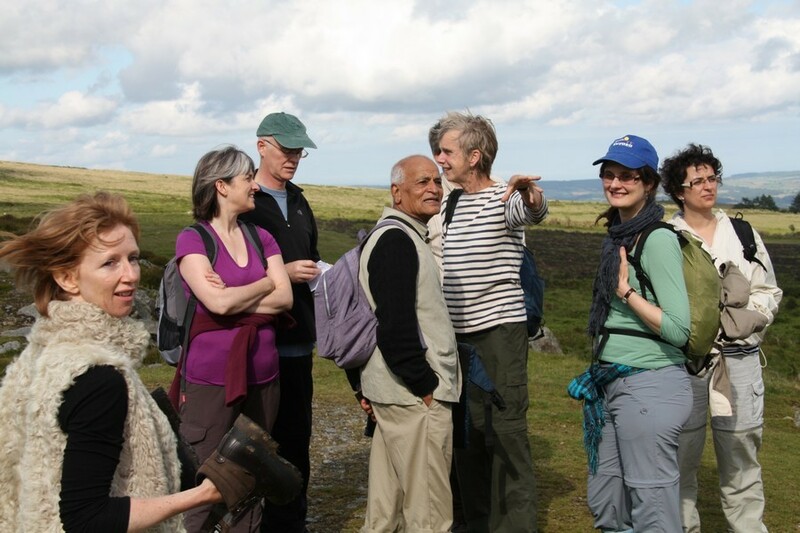 Satish asked Peter what it was that attracted him to pilgrimage, and he replied that a pilgrim is open to and accepting of all things and people that he or she meets on the journey. That acceptance and openness brings with it great joy. I think we all shared in that joy as we crossed the stream over a fallen tree and climbed up onto the open moor beyond. We were now entering the realm of Victorian industry, reclaimed and beautified by nature’s encroachment. Flowers and ferns sprout from every cranny in the quarry walls and heather and grass has grown over parts of the granite tramway which once took the massive lumps of rock down to the canal, river, sea and on to London. High up here, we could look west over the sweeping open hills of the moor and the dramatic rocks of Hound Tor. As we crested the ridge we could see southwards over patchwork fields all the way to the sea. Hay Tor was now towering above us against a sky that was – miraculously – blue. Dartmoor rarely fails to work its magic. The joy of those open spaces, imbued with generations of people who have farmed, mined and worshipped there and yet still wild and ruled by the elements, is a precious treasure. Which is why I have decided to dedicate myself to enabling others to share the joy by experiencing all that Dartmoor has to offer.